(Italiano) Il bel giardino fiorito nascosto fra i vicoli della città antica . 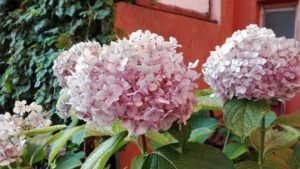 (Italiano) Il B&B "Al giardino di Alice" nel centro storico di Perugia, permette di portare con sè i propri amici a 4 zampe. Cani, gatti e altri animali da compagnia da noi sono i benvenuti! (Italiano) I particolari sono importanti, per questo ci piace coccolare i nostri ospiti e far loro vivere il proprio soggiorno in comodità e con quel pizzico di attenzione in più per sentirsi sempre a proprio agio. (Italiano) Le camere del B&B sono arredate con cura e dotate di bagno privato. Hanno affaccio sul giardino e pertanto sono molto silenziose ed adatte ad un totale relax. The B & B is located in the historic center, 80 m from the panoramic lift leading directly to the Vannucci course and the Minimetrò which connects with the Fontivegge railway station. Perugia. The B&B Al Giardino di Alice is composed of 2 rooms, the double with kitchenette and a triple / quadruple, both with inner bathroom, indipendent entrance and exit into the garden. The B&b is 80 m far from the inclined lift to Corso Matteotti ( parallel to Corso Vannucci ) and from the Minimetro that leads to the main train station of ” Fontivegge” . In the breakfast Room it is possible to have the turistic brochures left at your disposition. The owner is also available to organize trips and tours with professional tourist guides provided by the city of Perugia. The Outdoor Relax Area has a colorful flower garden There is a spacious terrace with tables, chairs and swing where guests can enjoy their breakfasts or read a good book while children and four-legged friends can play freely. In the garden guest can also enjoy Jacuzzi for total relax. The name of the B&B The name of the B&B “Al Giardino di Alice” (Alice’s Garden) comes from a typical response whenever someone would see my home for the first time: unable to believe that such a place could exist in the middle of narrow windy roads and ancient walls, they would often exclaim: “It’s like a garden in Wonderland!” So, when I decided to open a guest house and needed to find a name, I decided to name it” At Alice’s Garden”.